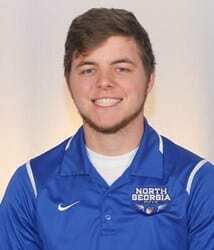 MURRAY, Ky. – Dakota Spivey tied his career- and season-best score in smallbore as the University of North Georgia rifle team competed in the Withrow Invitational, hosted by Murray State, Friday. Through the first day of competition, the Nighthawks sit in third place with four teams still to compete throughout the weekend. North Georgia posted the second-highest score of the season, shooting a 4612 aggregate score. Spivey shot a 581 in smallbore, firing two perfect 100 strings in the process. Ruthanne Conner led UNG in the air rifle discipline, shooting a 588 that included a perfect 100 string as well as three 99 strings. Conner shot a team-best 1162 on aggregate. The Nighthawks defeated SOCON opponent UAB in the meet, outscoring the Blazers by nearly 100 points. UNG will next take to the range on Saturday, January 27, at Kentucky. 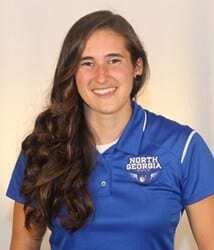 Photos courtesy of UNG Athletics.